Feel free to file the following under "Things Bryan Desperately Wants, But Definitely Doesn't Need." What's "the following," you ask? 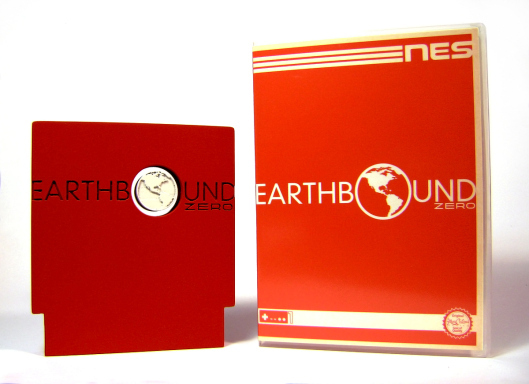 Why, only the drop-dead gorgeous EarthBound Zero reproduction carts (and cases) currently being made and sold by the folks at Rose Colored Gaming. Actually, although "currently being made" may be accurate, "currently being sold" is less so--due to the fact that they're marked as "temporarily sold out" at the moment. Thankfully, Rose Colored Gaming's proprietor assures that he and his crew "plan to produce as many of these as possible for as long as possible." Will any of you order a copy or two for yourself when they're available once again? "plan to produce as many of these as possible for as long as possible." Do you know what the Zelda one was about? Why are there two cartridges when there was only one SNES game? As for the Zelda one: sadly, I have no idea what game was included on it. I'm guessing it was some sort of fan hack, but I'm not sure. Whoops! I didn't mean to draw the attention of /the eye/. Interesting...I would love to have this, but not for the price they're asking. And...what is this Zelda cart they're selling? It's title is something I've never heard. Oh my! I didn't notice a price earlier. $150? YIKES! That's too rich for my blog, too, I have to say. As for the Zelda title: I'm willing to bet it's some sort of fan hack. Which, personally, I wouldn't be willing to shell out money for--even if the packaging is nice. Wiggy of RCG here, the two Zelda games were "Goddes of Wisdom" and "Parallel Worlds". Both are fan-made ROM hacks of A Link to the Past. No prob, and thank you! I do my best. Will do, Wiggy. And thanks again. 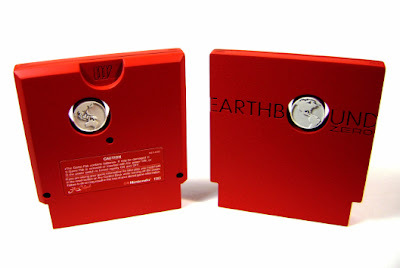 BTW, someday I hope to either buy a backlighted GameBoy or WonderSwan--or both!--from you.